Previously it was thought and some still think that Mexico is the place where the corn originated, but according to research studies conducted by Alexander Grobman, a professor at the National Agrarian University of La Molina, it can now be said that in Peru there was also cultivation of corn with similar antiquity to that of Mexico. 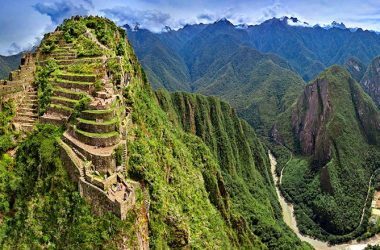 Thus Peru along with Mexico is the world cradle of Maize. Grobaman made excavations in the archaeological sites of Paredones and Huaca Prieta in the department of La Libertad, located in northern Peru, between 2011 and 2017, finding 293 samples of microfossils (ears, corms, pieces of stem, leaves and grains) that were subjected to radiocarbon dating tests. 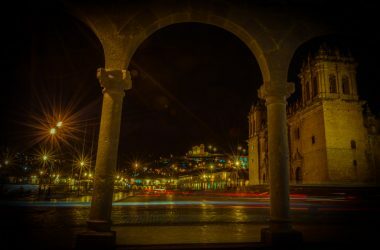 The tests results for 15 of those samples give an age that fluctuates between 6,504 and 7,775 years before the present, surpassing the corn found in the area of Guilá Naquitz (Mexican state of Oaxaca) ) that reached 6,300 years. Peru has many varieties of corn. One of them is purple corn, a grain with high medicinal and culinary power. Thanks to its medicinal properties it has acquired great importance worldwide. It is considered a natural antioxidant since it contains anthocyanin that is found in the grains and cob of corn. This is able to prevent the oxidation of molecules which allows the tissues to regenerate and delays the aging of the skin. It also eliminates cholesterol and improves circulation. Furthermore, it helps prevent cataracts, glaucoma, its consumption promotes the formation of collagen and is very useful for people who suffer from high blood pressure. Also, this Andean grain contains phosphorus, iron, and vitamin A that help maintain a healthy organism. 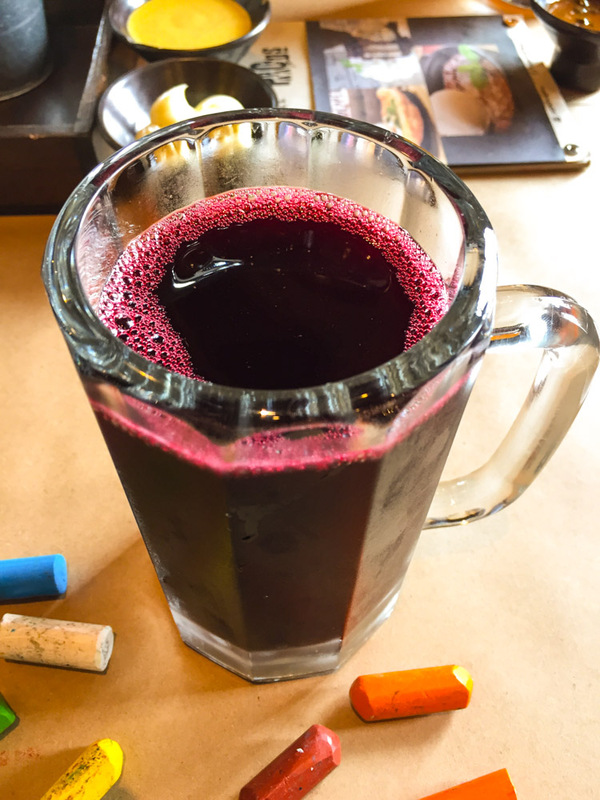 Peru is known worldwide for its cuisine, it converts natural products into great delicacies that satisfy the most demanding palates, such is the case of the purple corn used to prepare the delicious Mazamorra Morada. This is a dessert that is accompanied by apple or small pieces of fruits that give an exquisite flavor. 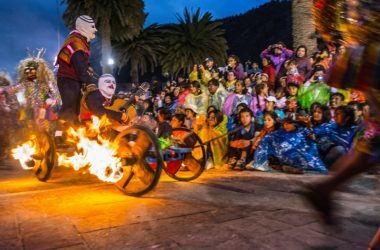 These desserts are in the restaurants and buffets of Cusco and the Sacred Valley of the Incas. They are within reach of everyone and have a great acceptance among tourists. 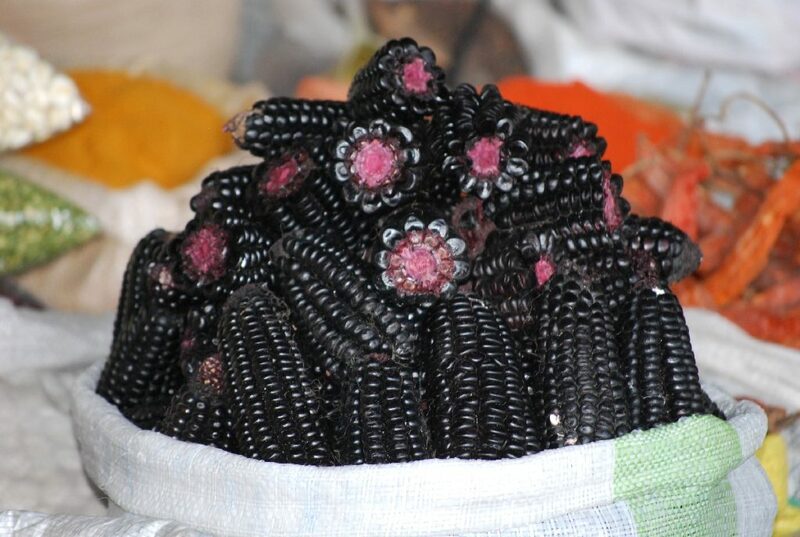 From purple corn we can also prepare chicha morada. It is not an alcoholic drink: Everyone can drink it, from the smallest to the largest persons. It is a very refreshing and delicious drink. We Peruvians are proud to have this variety of corn which has been surprising the whole world for its medicinal and gastronomic value. Now we know that we have many reasons to consume purple corn since it is also a natural product.